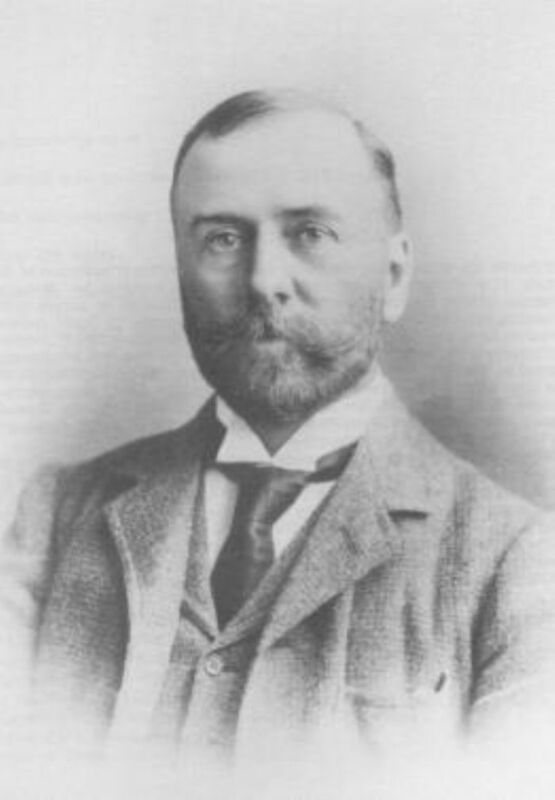 When on the 5th October 1900, Edward Hain (1851-1917) standing as a Liberal Unionist became M.P. for St Ives, he had already demonstrated his considerable talents in many areas. He came from an established St Ives family that was known in the town since Elizabethan times. He showed the energy of a mercantile Capitalist tempered by the social conscience of a devout teetotal Non-Conformist. Although his father and grandfather had prospered as Master Mariners and built a small fleet of ships, he himself did not go to sea. It appears that from a family who in the early C19th were fishermen, Hain’s grandfather variously traded in the West Indian sugar and Brazilian coffee. By 1866 when his grandfather died, the fleet consisted of two brigantines with a third, the “Margot Hain” under construction at Rye. By this time there was a shareholding backing to the trading with the majority holding to family members and Thomas Bolitho, the banker. It was the same Bolitho that previously held the parliamentary seat. In the Times on October 1900, it mentions in an article entitled Biographies of New Members that Hain was a founder member of the County Council, that he is head of a Shipping Firm which had offices in London, Cardiff and St Ives. He had been a Mayor of the Borough already six times and a Justice of the Peace. It makes no mention of his considerable land ownership in and around the town which includes nearly all the lands between Towedneck and Zennor. He had built himself a splendid manor house too at Treloyhan. He had trained in London banking and as a tea merchant. The Hain fleet by the following year consisted of some 21 steamships. During his time in Parliament he was to support the Unionist cause with Ireland, becoming an ardent supporter of Free trade and involved in high-level discussions over trading matters. He must have become acquainted too with Walter Runciman who was later to become a Liberal M.P. for St Ives, where indeed he was preceded in the seat by his wife, Hilda. The shipping business prospered with shareholders that included merchants and agents in Smyrna and the Black Sea ports. Hain developed differences with Joseph Chamberlain over Free Trade and left the Unionist element in 1904 to become simply, a Liberal and partly for health reasons left Parliament in 1906. 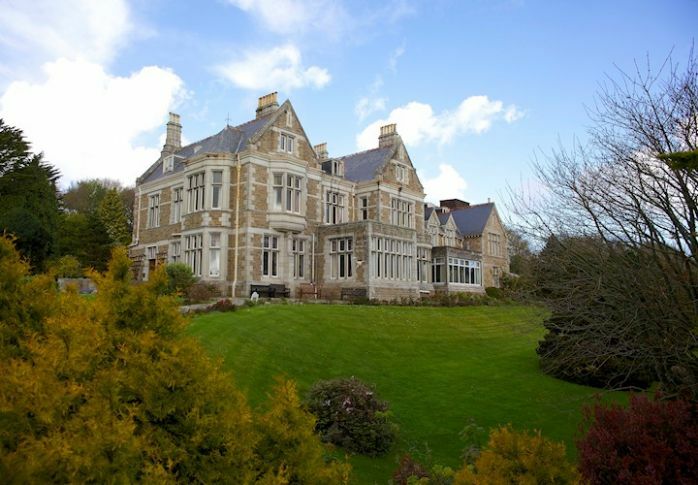 The house at Treloyhan was extensive and was serviced by a large domestic staff including a chauffeur. There was a private pack of hounds and horses with stables which may be seen from the main road into the town today. In 1910 Hain was knighted. The Dardanelles would have been a concern of Hain’s as they were closed in 1912 due to the now forgotten war between Italy and Turkey. The Times of May 1st records a delegation which included Hain and Runciman, as prominent members of the Chamber of Shipping, to Sir Edward Grey, the Foreign Secretary. It was in the Dardanelles at Gallipoli that Hain’s son died in 1915, a Captain in the Royal 1st Devon Yeomanry. His father never recovered from this loss and suffered a severe breakdown during a German air-raid on London in 1917. He died at Treloyhan on 20th of September 1918. Among the memorials and donations to the town from the family is the war memorial and garden next to the Market Place -where Edward Hain’s name is inscribed at the top- and the Edward Hain Memorial Hospital. The latter is currently closed for day-patients due to concerns about fire safety and the future of this historic bequest sadly placed in question. Walter Runciman was MP for St Ives, a government minister and was sent to Czechoslovakia by Chamberlain in 1938 to investigate concerns over the Sudetenland before the latter signed the notorious Munich Agreement.